Whether played by children or adults, games and sporting activities are expected to offer a reasonable amount of safety from major bodily injury. Safety gear, such as helmets, or supervision from referees helps to maintain these standards. With all these protections in place, which sports remain dangerous, and which are safe? It turns out that the answers are more complicated than you might expect, depending on their age, skill level and even location of the players. We won’t be talking about esoteric sports like cave diving. 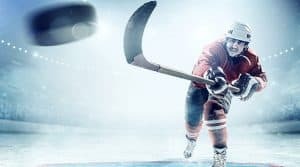 These are sports that you, your family members, and friends might play this weekend that could result in devastating injuries. Football. Football injuries produce 80% of concussions in children, in addition to more serious brain injuries that can lead to lifelong deficits. Hockey. Ice hockey players being to engage in full body “checks” at age 11, leading to series and potentially permanent injuries. Cheerleading. On paper, cheerleading has about 10% of the injuries per year of football. However, since fewer students are involved in cheerleading, those numbers can be misleading. In truth, 66% of cheerleaders are injured per year. Equestrian sports. Obstacle riding competitions and racing both require speed. If the horse gets frightened or trips, the riders can be thrown from the horse, or crushed underneath it. When it comes to adult sports, excluding professional players, the top five most dangerous sports tend to be varied, a mix of team and individual sports, but often with an element of risk of speed involved. Equestrian sports. Over 100 people die each year during riding accidents, and 15% of all the riding injuries involve head trauma. The speed, height, and inherent risks of being around 1000-lb animals are dangerous to people of any age. Racing (boat, cycling, motorcycle and car). Speed kills, and racing can lead to gross bodily harm or permanent injuries. Soccer/rugby. These two sports get groups together due to the similar nature of the two games and the injuries sustained by players. The lack of protective gear may play a part in the high risk of broken bones and tendon injuries, as well as concussive trauma. BASE jumping. BASE jumpers are recommended to have at least 500 hours of skydiving training prior to trying one BASE jump. Guess how many skydiving schools want to teach BASE jumpers? Exactly none, because of the risks associated with the sport. Untrained jumpers can be catastrophically physically injured, and even when a jumper does well, they may see another jumper have an accident, leading to psychological trauma. Injuries for kids from sports often get shrugged off as part of growing up. Even adults are who are hurt during a game are seen as basically fine. But when the injuries are grave and life altering, it isn’t always just the player who was responsible. Attorney Nick Verderame has a background in sports business, with a degree in Sports, Commerce, and Culture, and has published on the subject of concussions. If you sustained an injury playing sports, you’re in good hands with us. Most of our clients aren’t people who go around starting lawsuits every day. They’re regular people who were put in danger through the negligence of others, or who need assistance making insurance companies pay for the care necessitated. Contact the experienced, Phoenix catastrophic injury attorneys of Plattner Verderame, P.C. by calling 602-783-8793 or filling out our contact form.